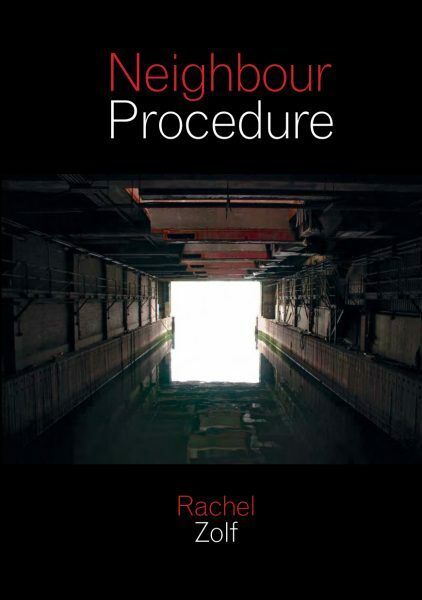 Rachel Zolf’s powerful follow-up to the Trillium Award-winning Human Resources is a virtuoso polyvocal correspondence with the daily news, ancient scripture and contemporary theory that puts the ongoing conﬂict in Israel/Palestine ﬁrmly in the crosshairs. Plucked from a mineﬁeld of competing knowledges, media and public texts, Neighbour Procedure sees Zolf assemble an arsenal of poetic procedures and words borrowed from a cast of unlikely neighbours, including Mark Twain, Dadaist Marcel Janco, 11th-century scholar Ibn Barun, and two women at the gym. The result is a dynamic constellation where humour and horror sit poised at the threshold of ethics and politics.